Today I am sharing a Jeune top I made from a thrifted pillowcase! 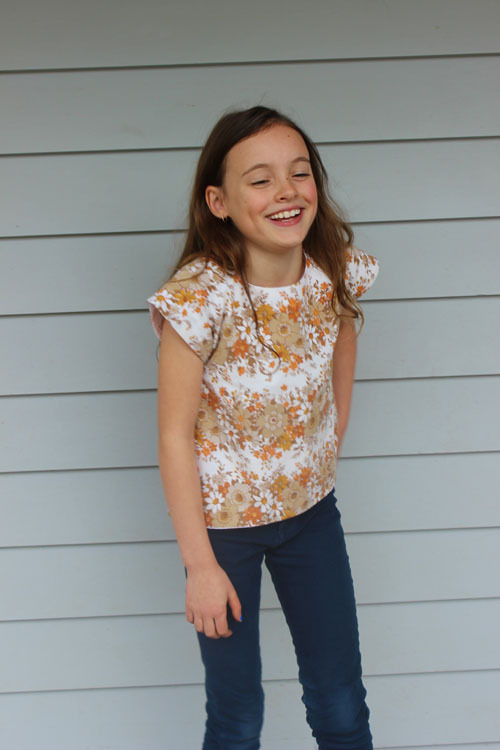 The Jeune pattern is great for beginners and for sizes 12mo-7years, the top can be cut from a standard sized pillowcase. 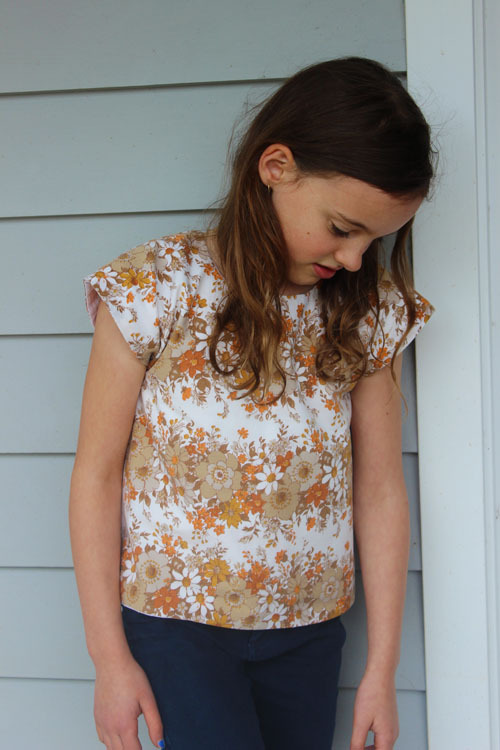 For this top, the outer and the lining are pillowcases. I love the 70's vibe of the brown floral print. 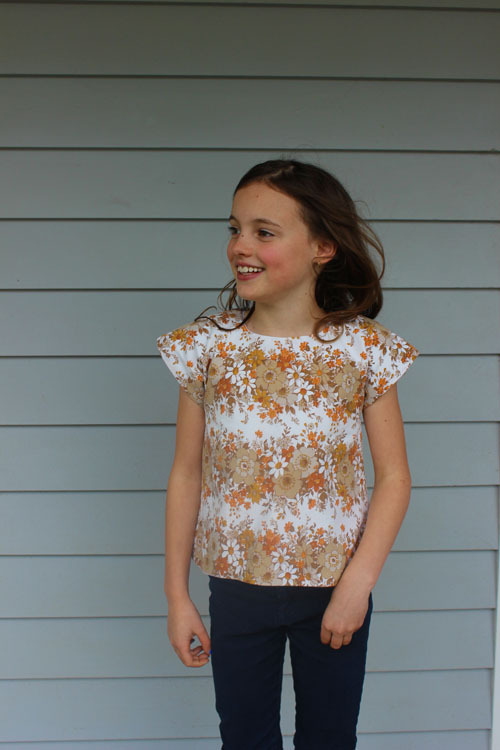 I originally made this top for Juliette but when I asked her if she would wear it today, she told me she didn't like it because it was 'brown'. Apparently brown is not a pretty colour according to her. I tend to disagree! Isabella happily claimed it as her own and luckily they are pretty much the same size. We find it hard to find jeans to fit Issie. 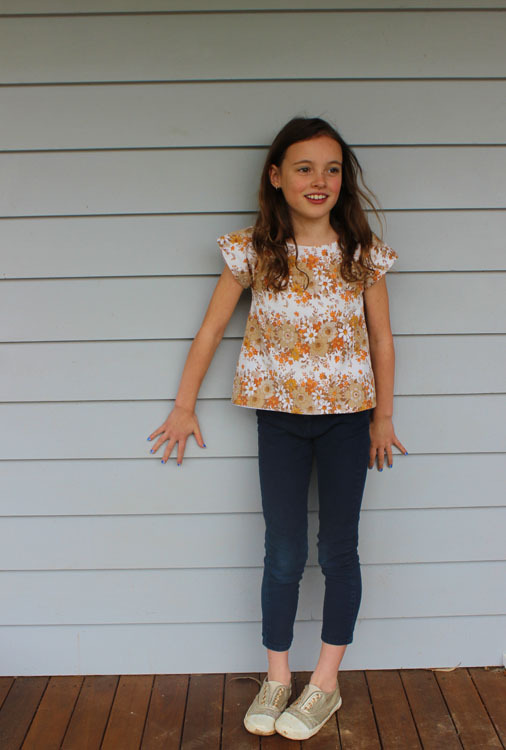 She is skinny so these jeans are size 7 but she is a size 9 in height, so we go with the three quarter length look! 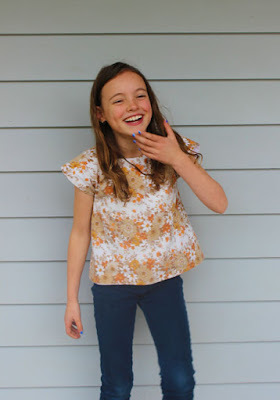 I know I could custom make her some jeans but she is very fussy about how jeans fit around her waist and I would hate to go to all the effort and her not wear them. This is my very late inspiration for the sewpony thrift theme and sew along over on Instagram. The winners for this month will be announced on June 1st. 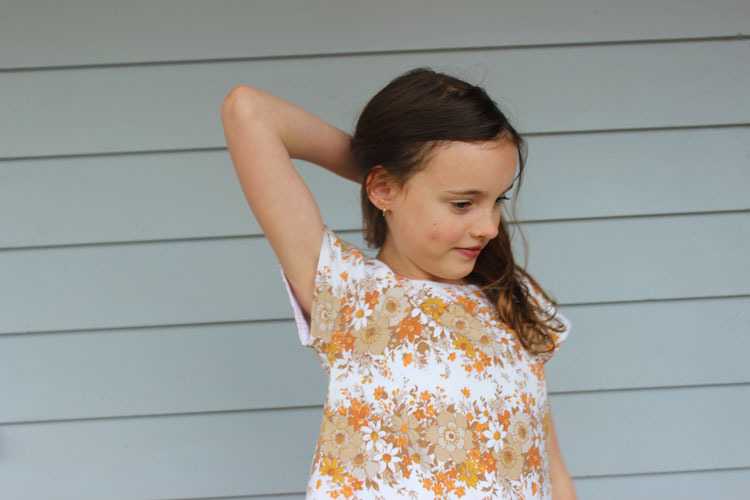 If you have a sewpony creation you have made from thrifted fabrics, please share on IG and tag it with #sewponythrift to win a sewpony pattern and some thrifted cloud9 fabric! Oh, I would go crazy if I found such a pillowcase in the thriftshop ��, I loooove those brown/orange seventies flowers!! Lovely top! !